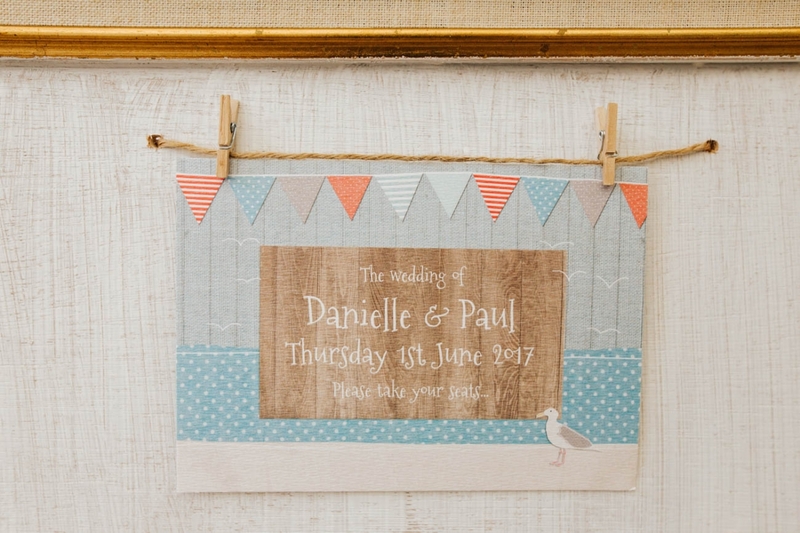 Meeting at work in a local pub nine years ago, it was another two years before Danielle and Paul discussed dating. 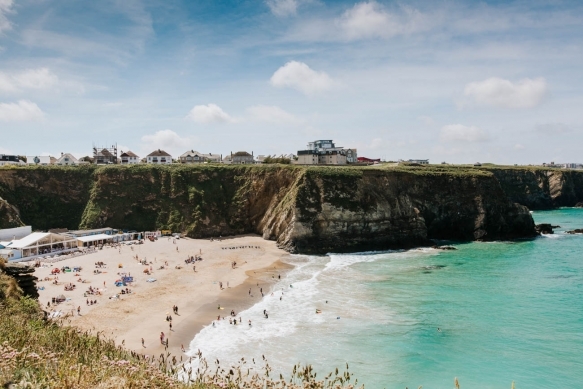 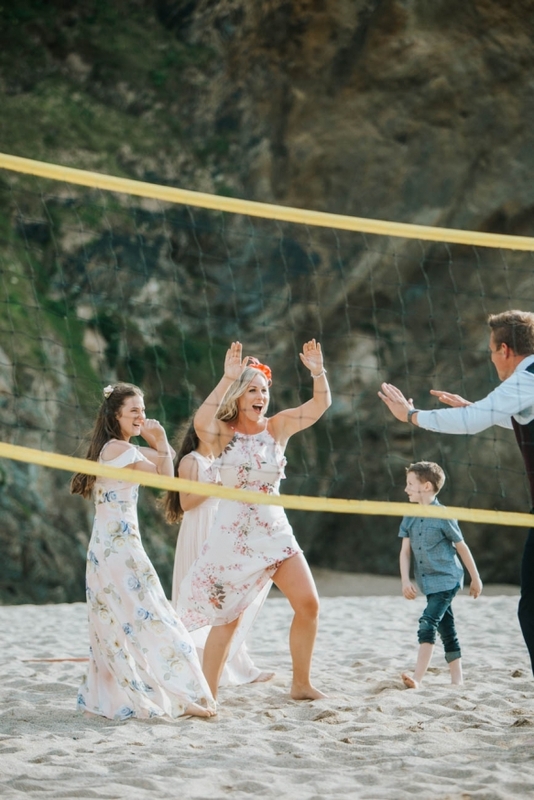 “We decided that the perfect test would be a camping trip to Cornwall; naturally it has been a special place to us ever since,” says Danielle. 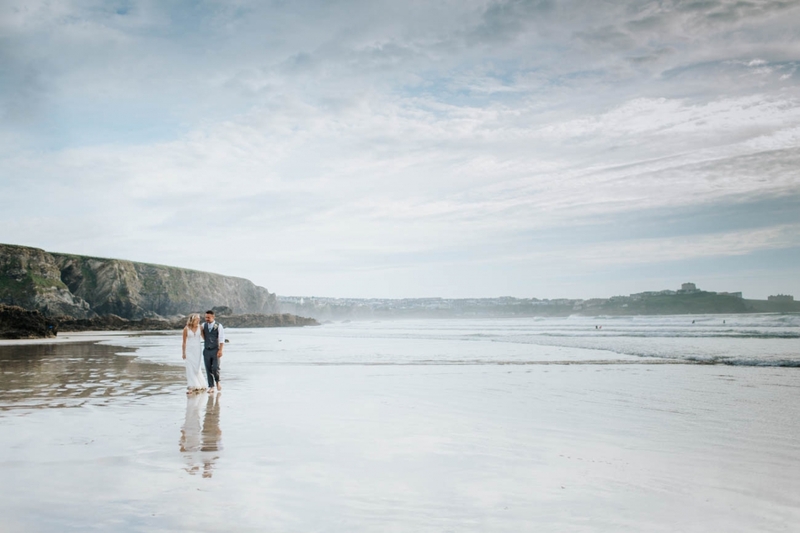 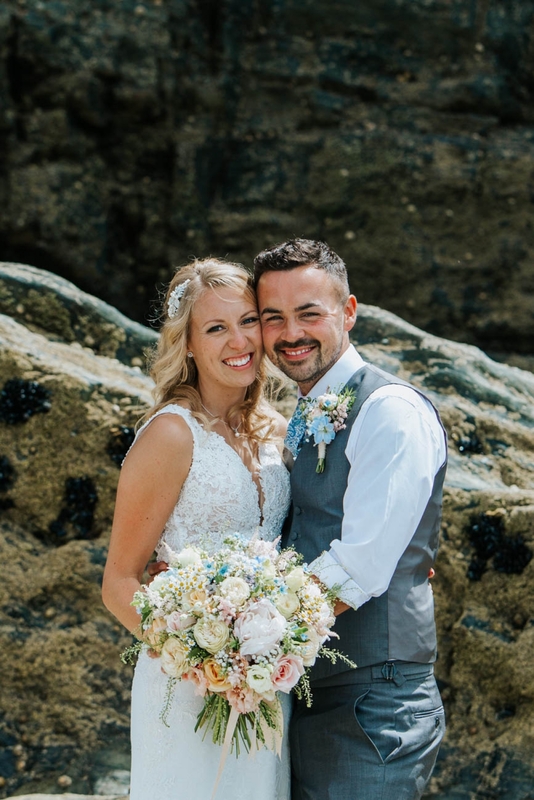 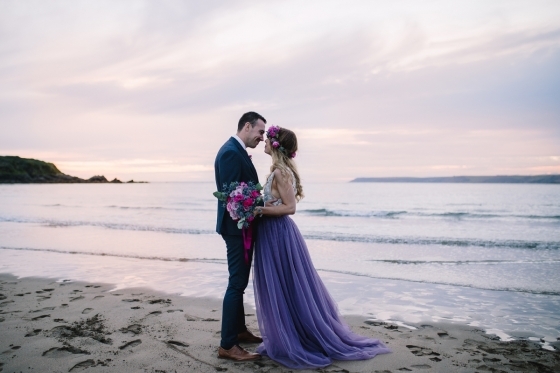 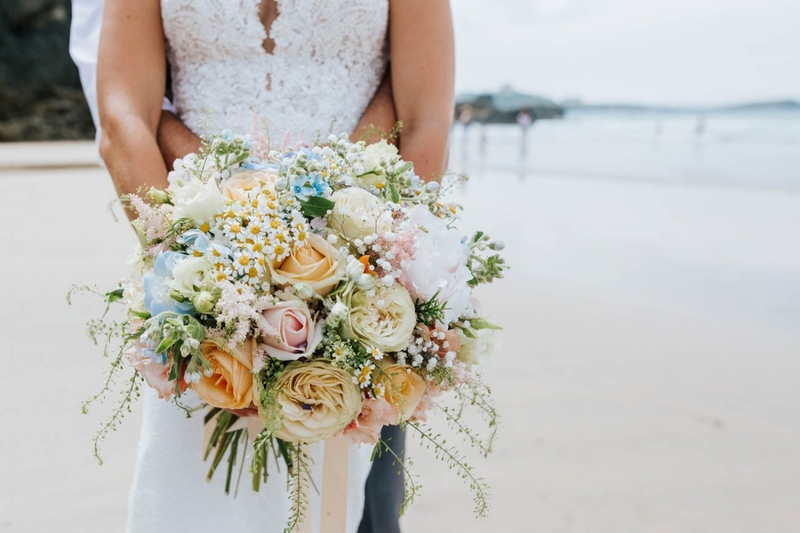 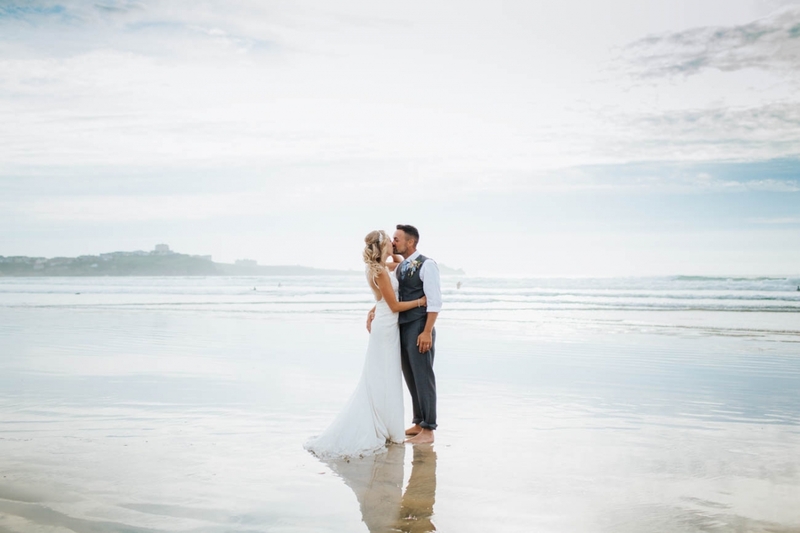 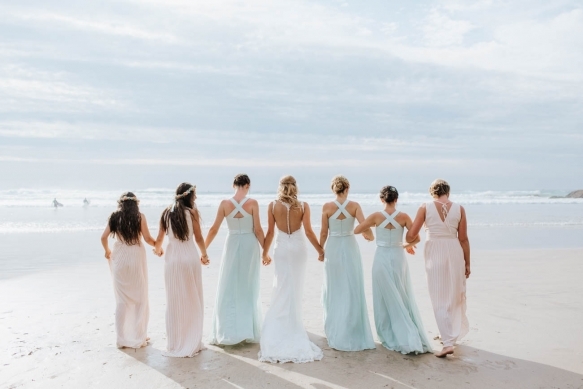 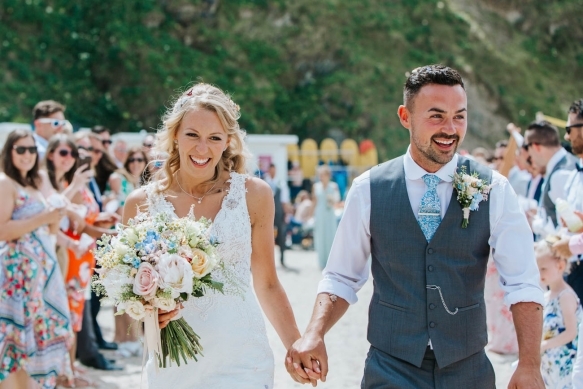 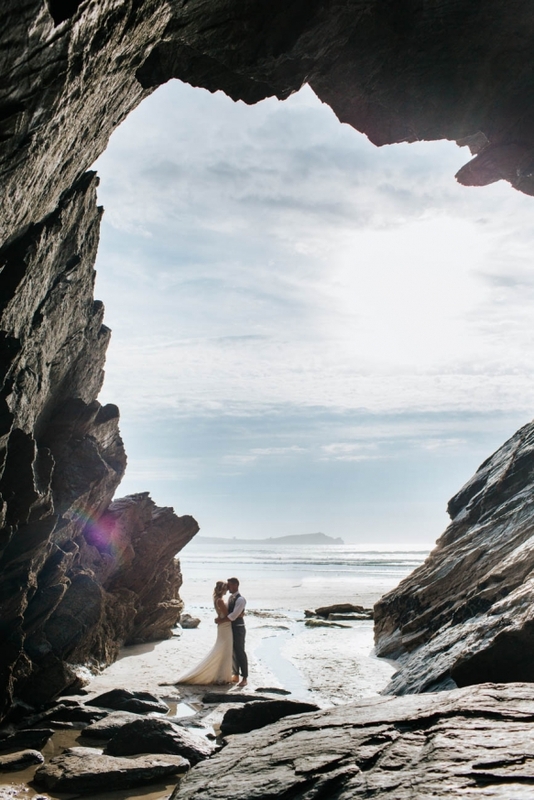 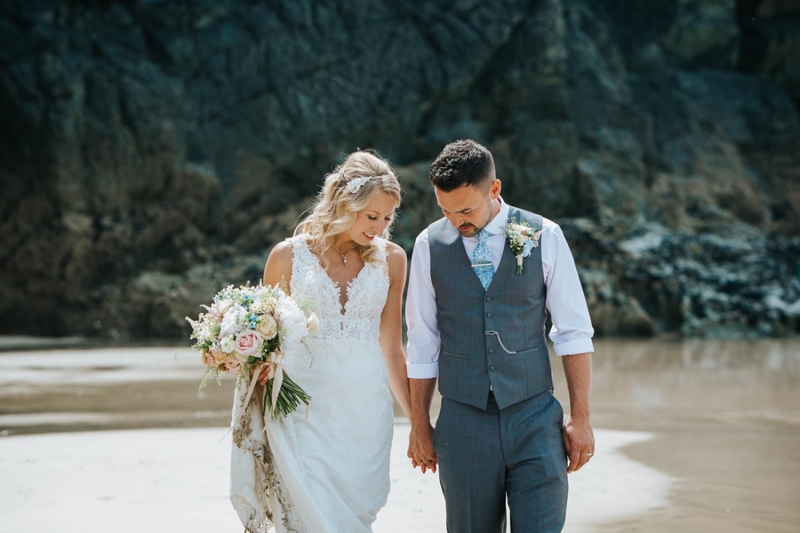 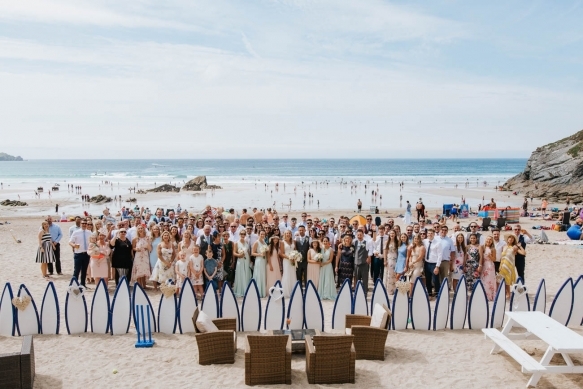 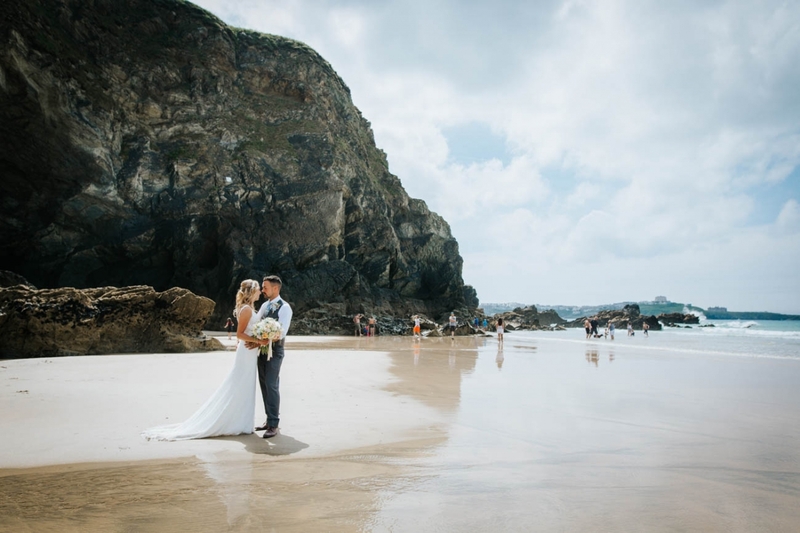 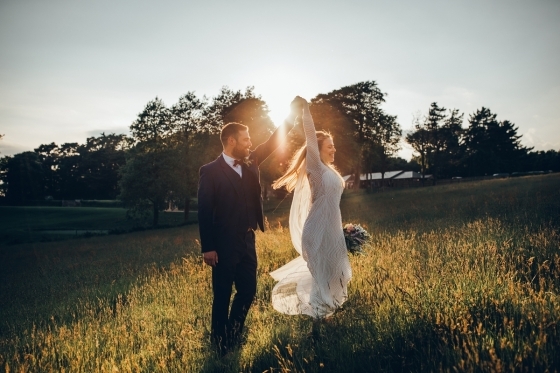 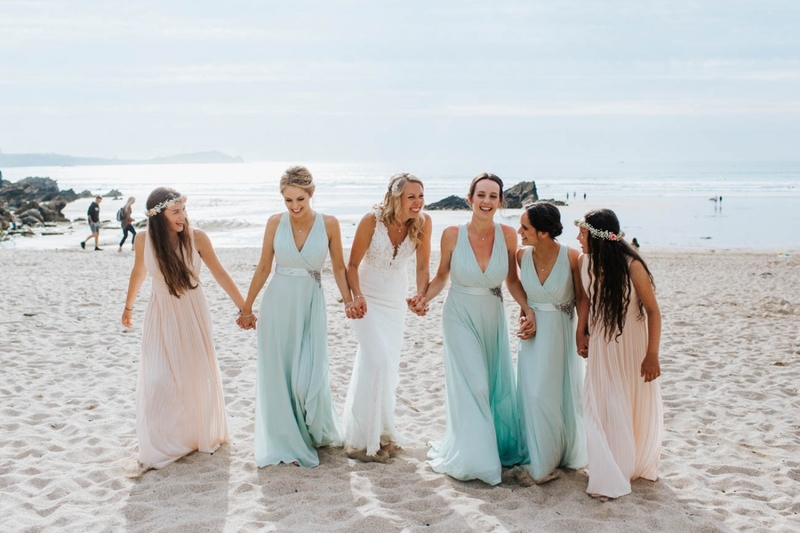 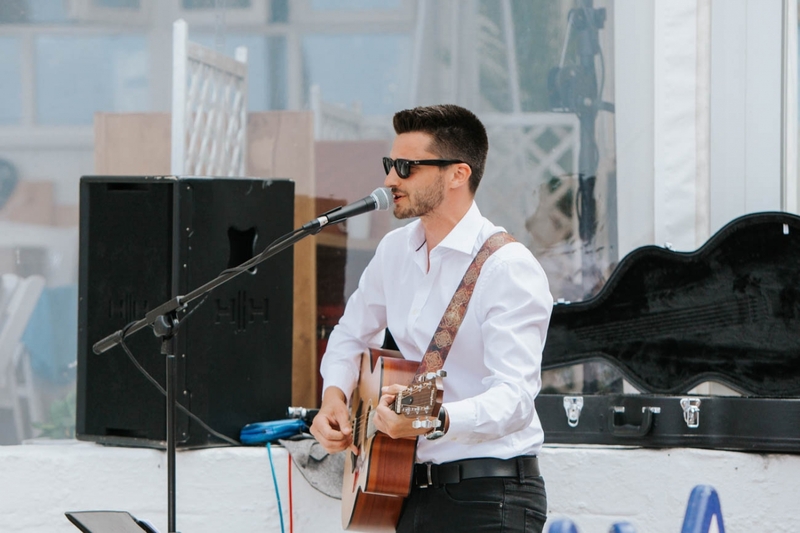 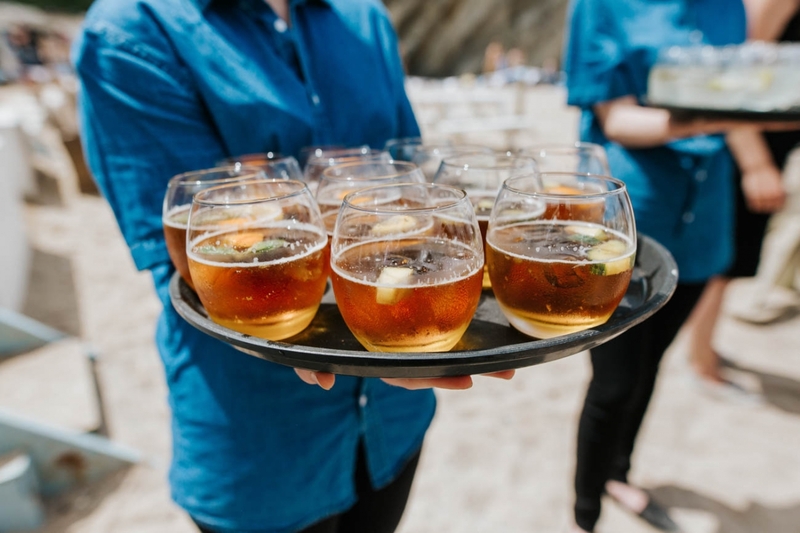 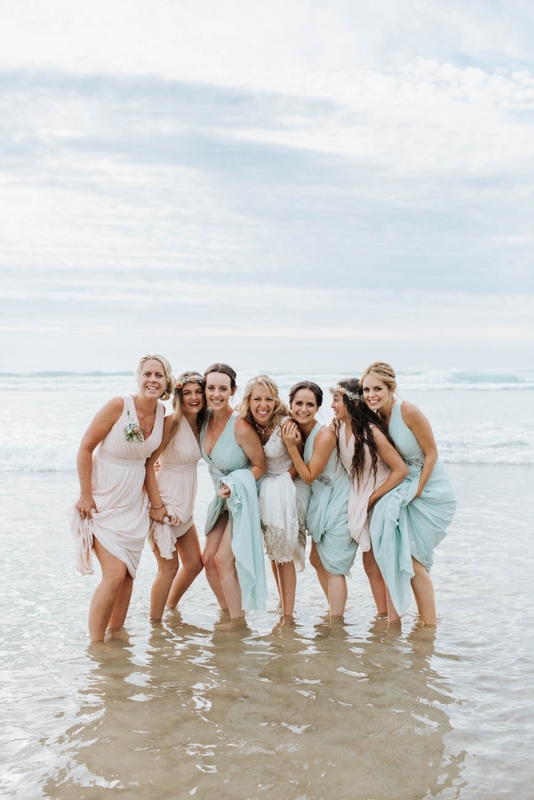 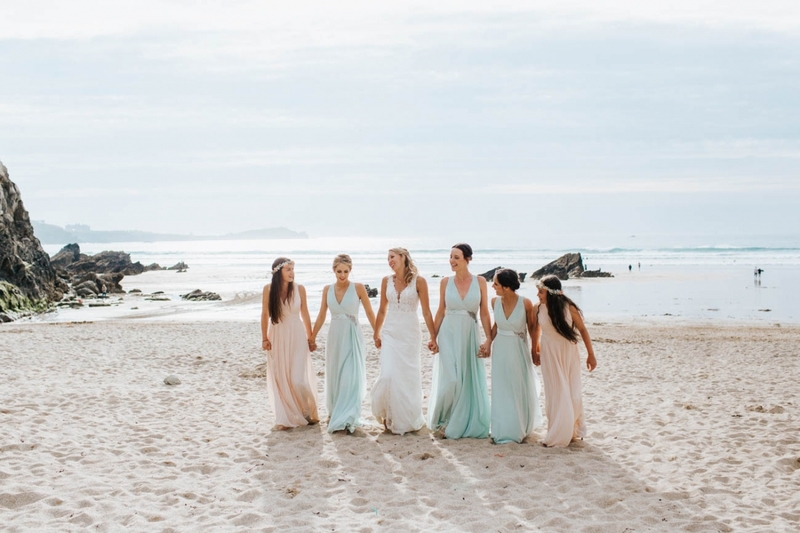 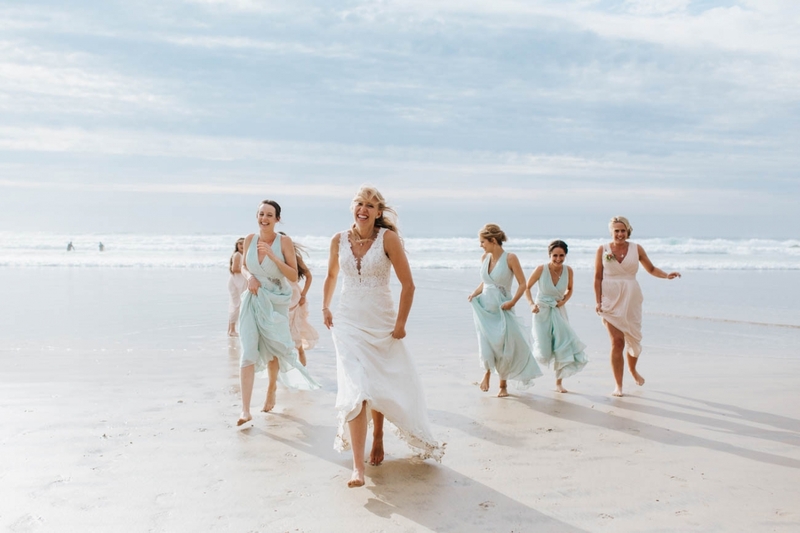 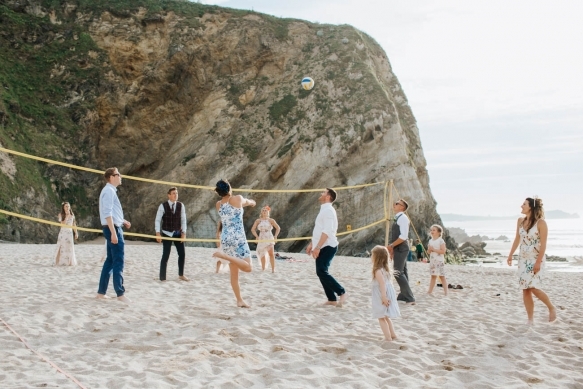 It meant they could take full advantage of the amazing venue, with a sun-dappled ceremony, and their guests able to spill out onto the beach where a family friend played guitar on the sand throughout the day. 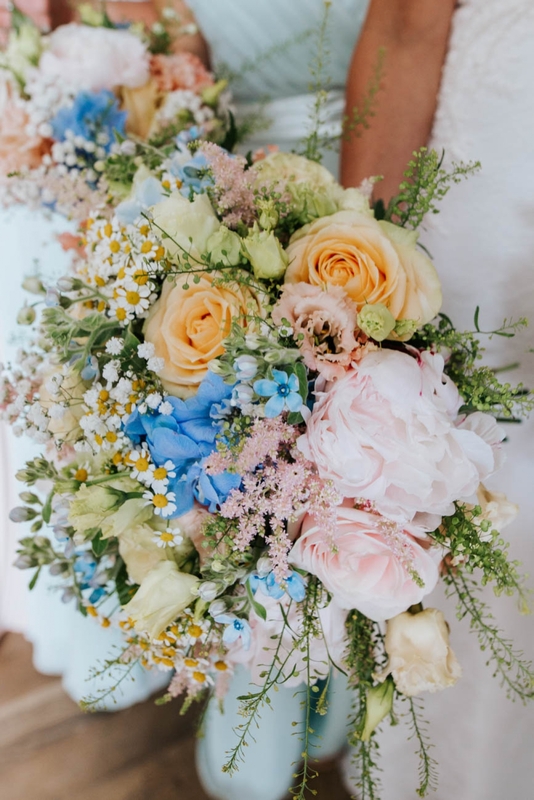 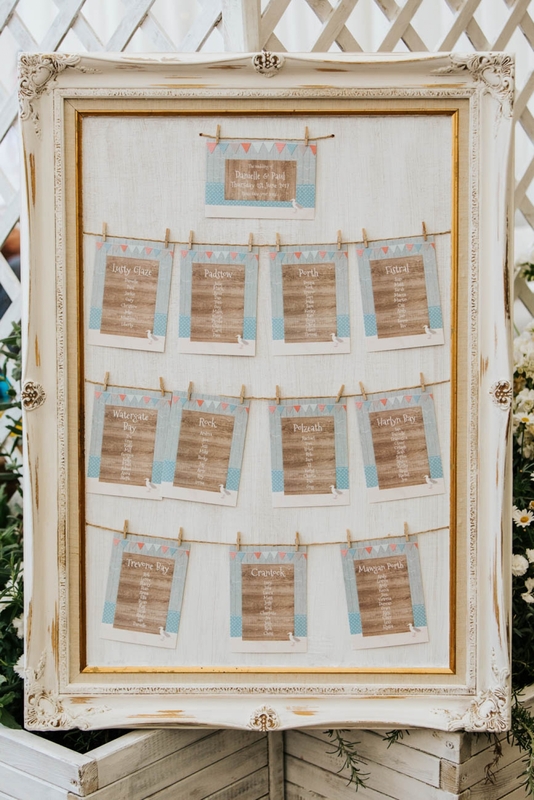 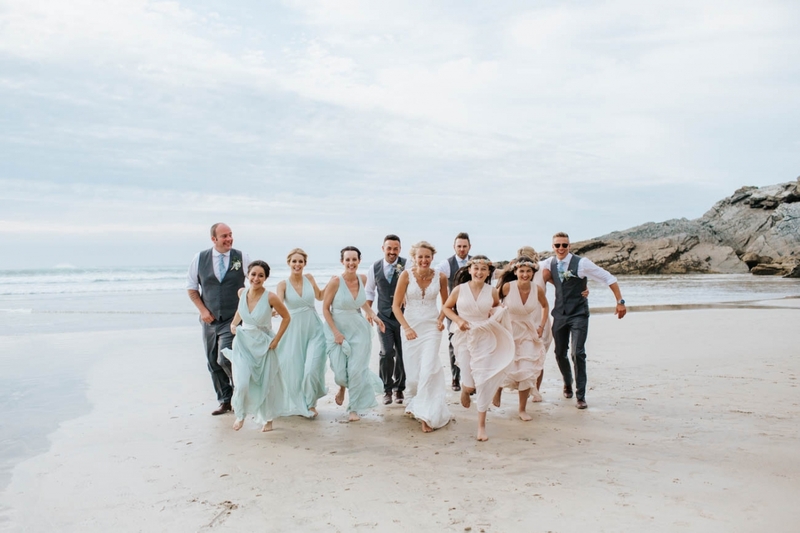 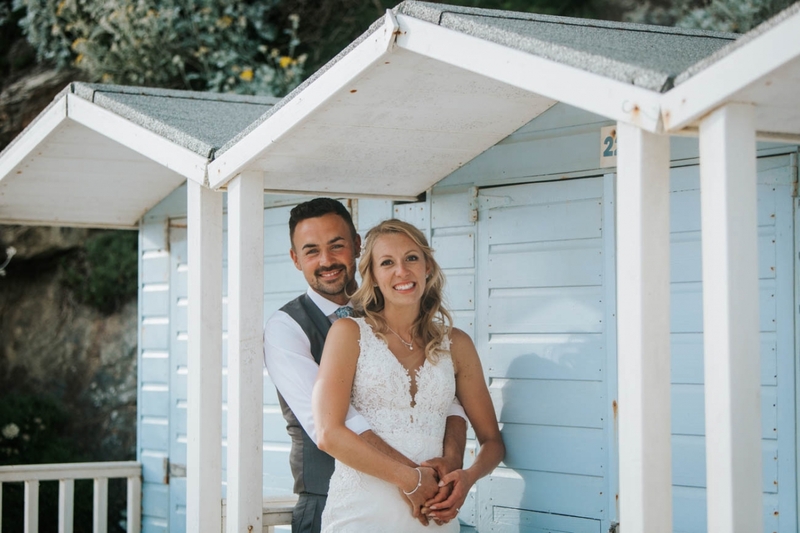 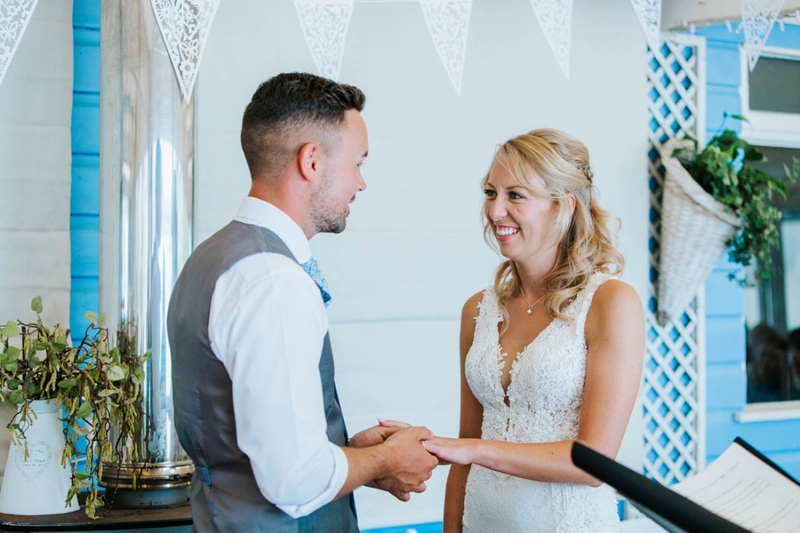 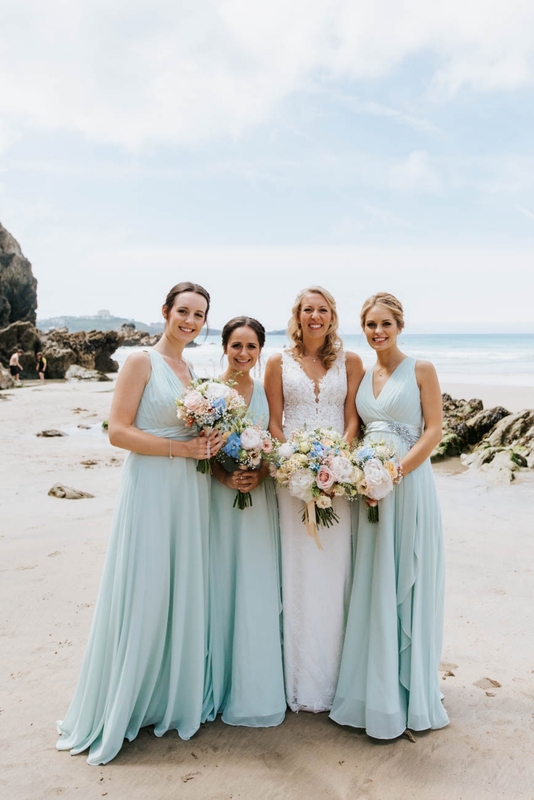 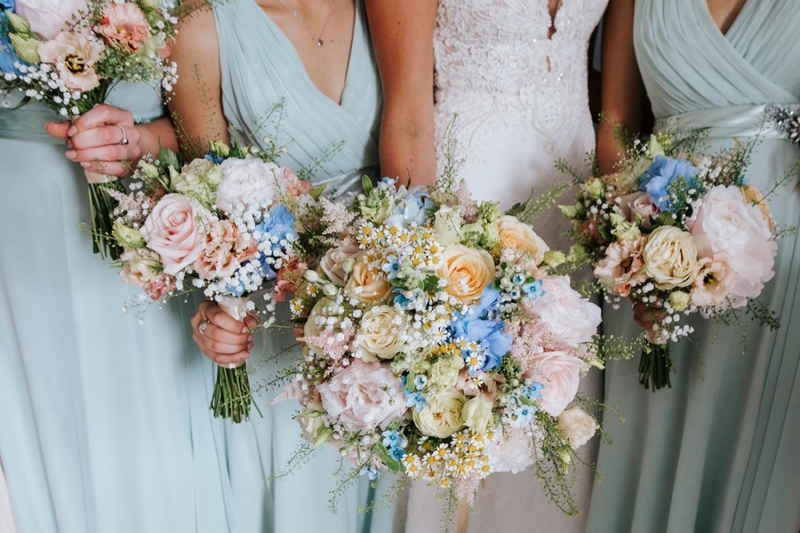 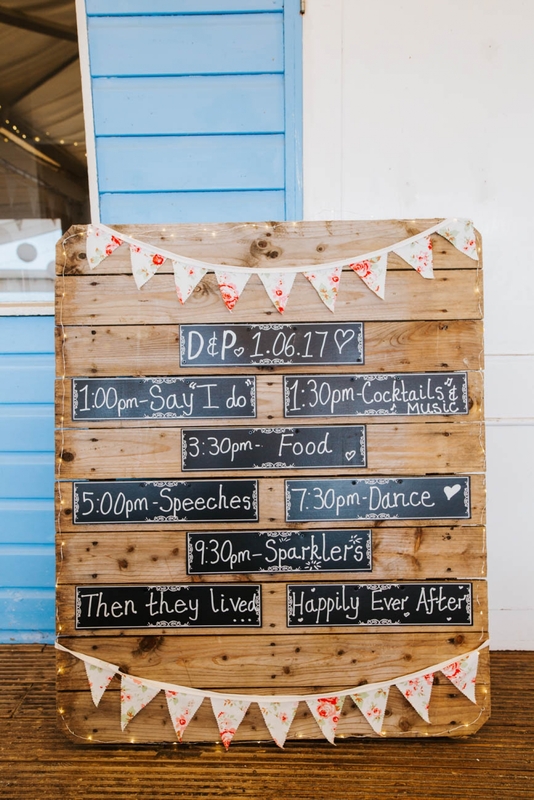 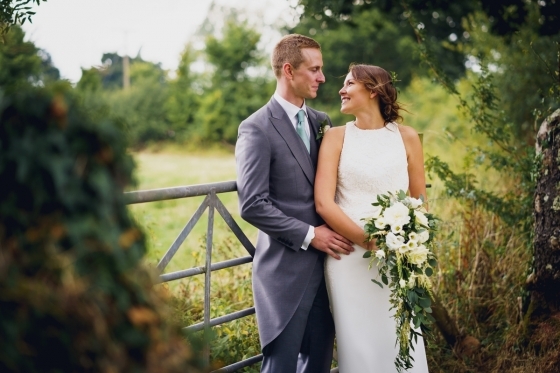 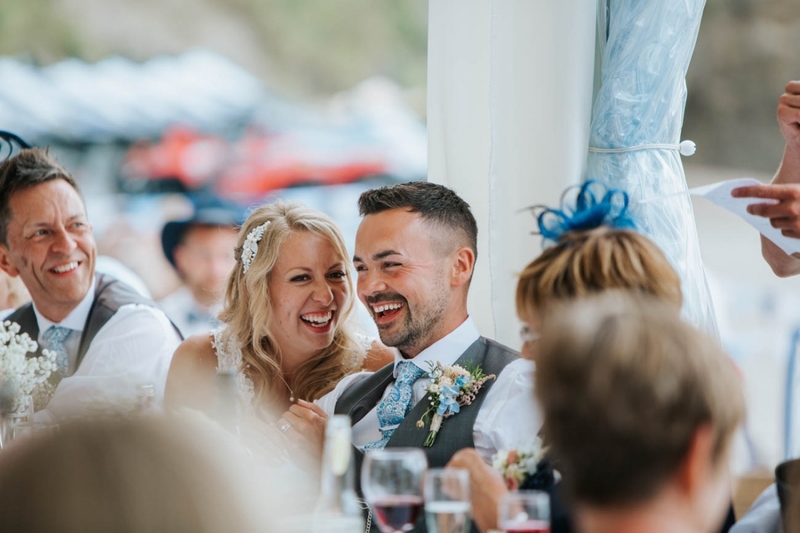 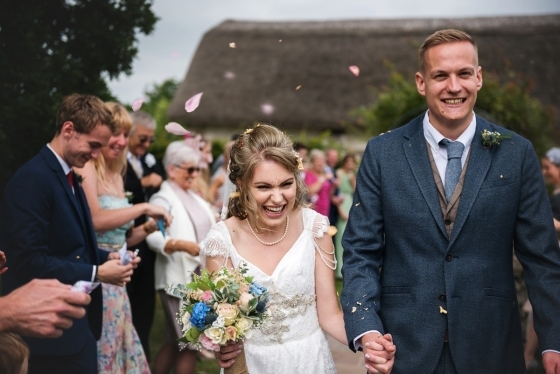 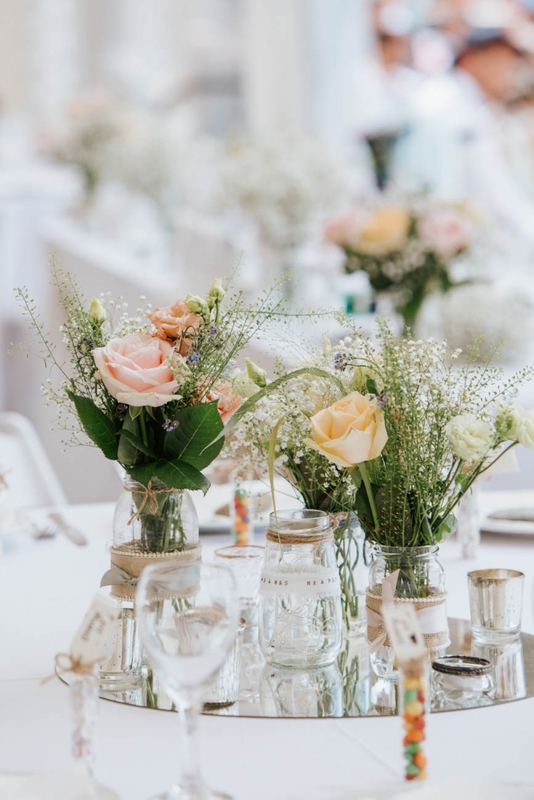 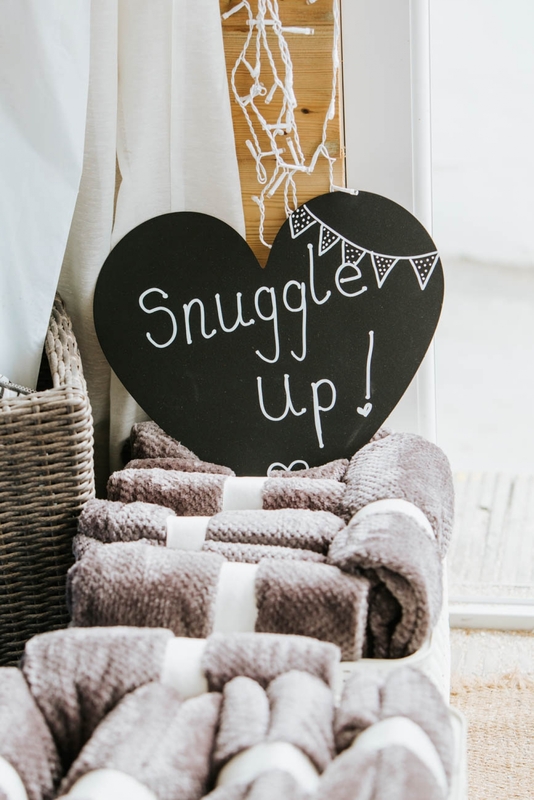 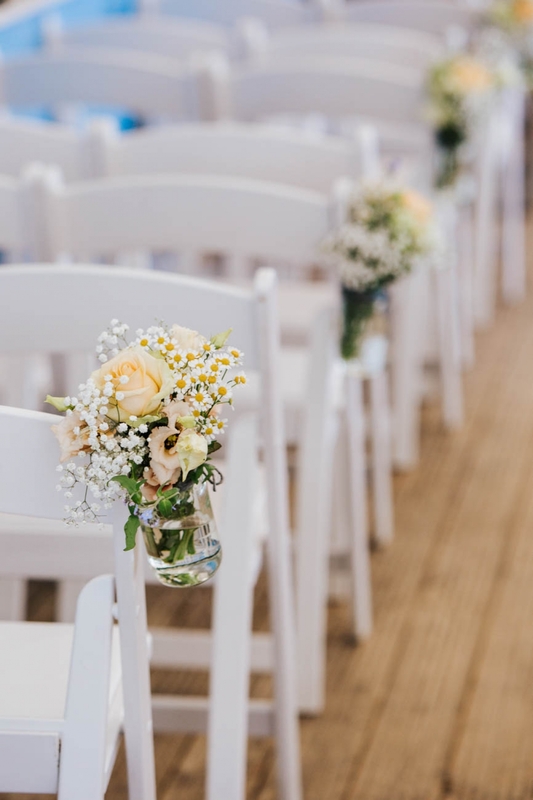 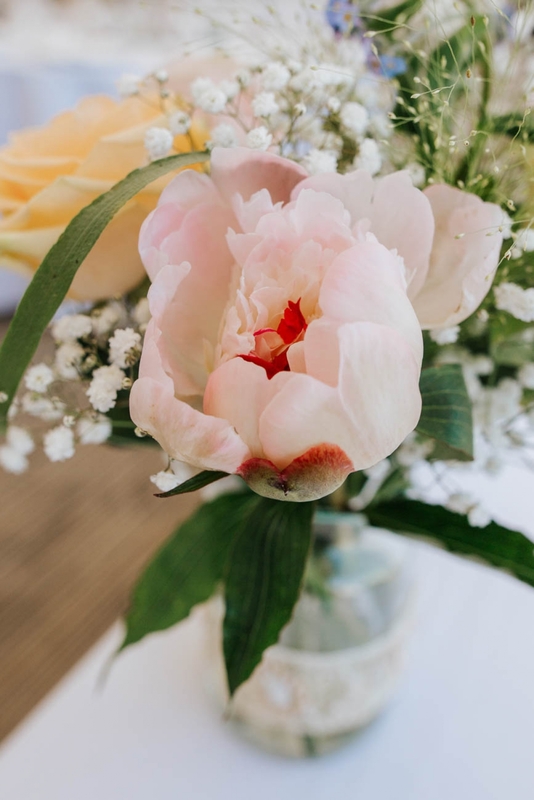 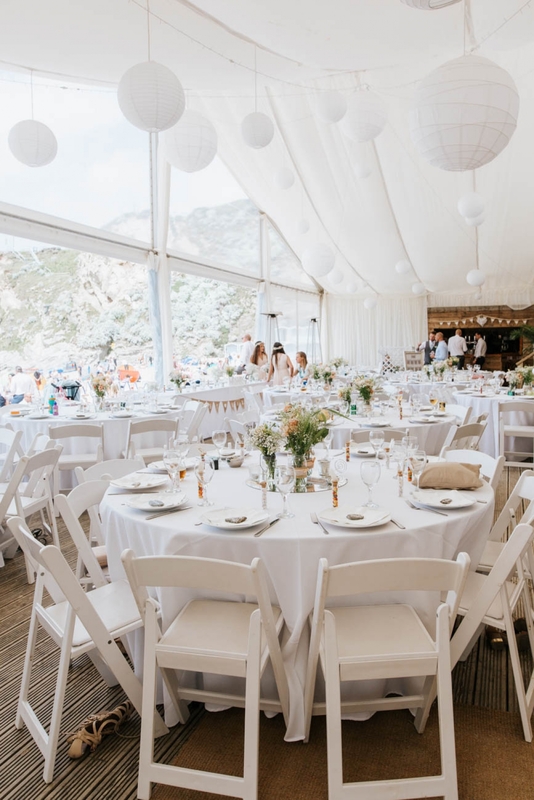 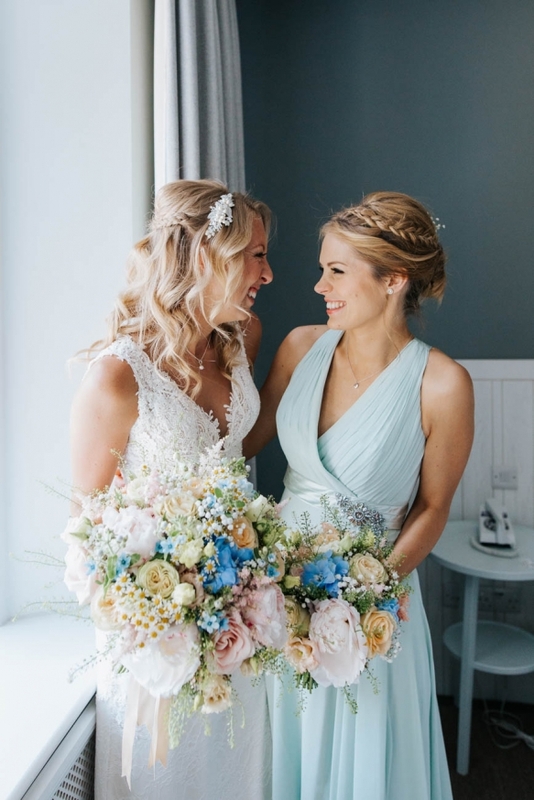 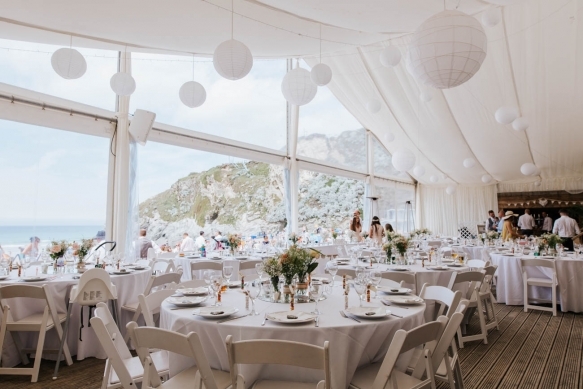 Taking inspiration from the coastal venue, Danielle and Paul opted for a mint and peach colour scheme, in keeping with the natural and pastel-coloured décor. 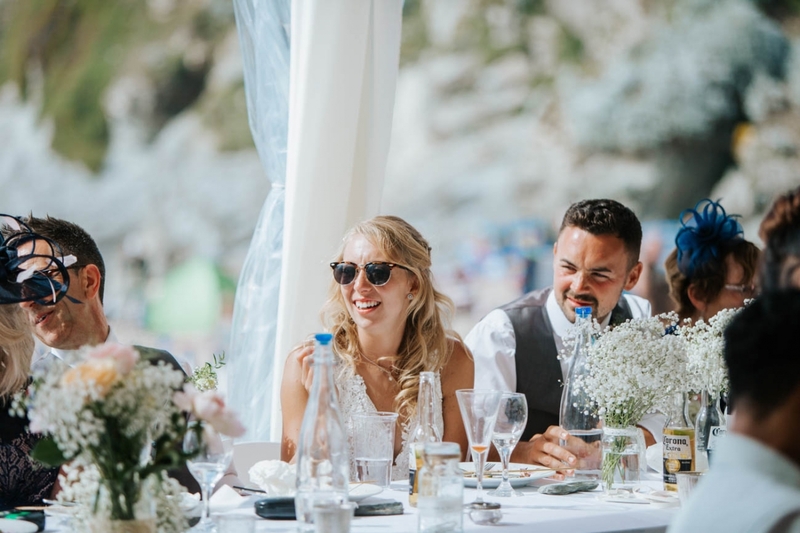 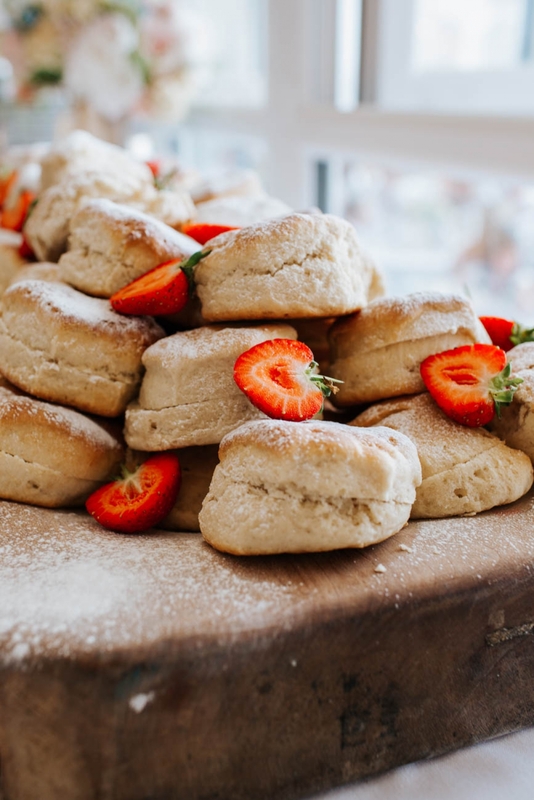 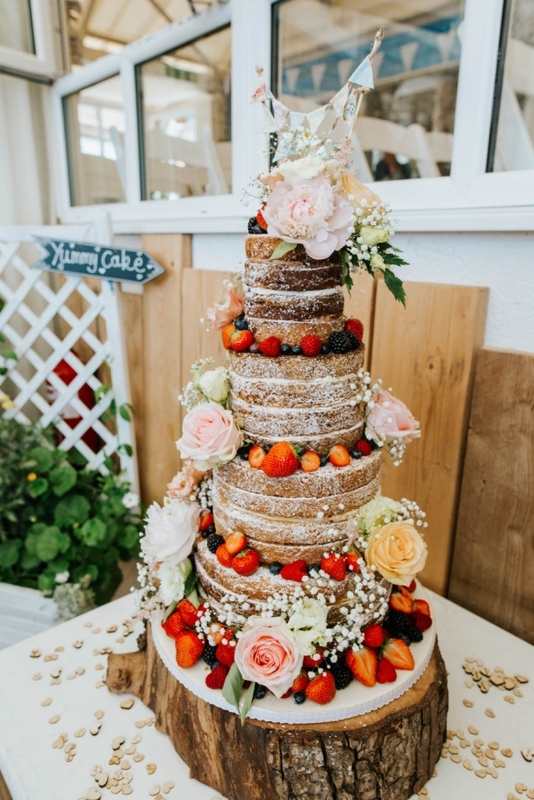 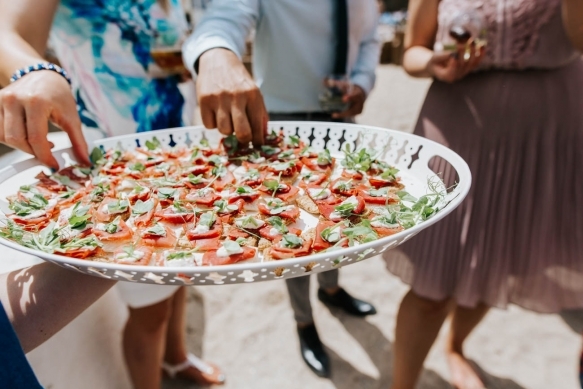 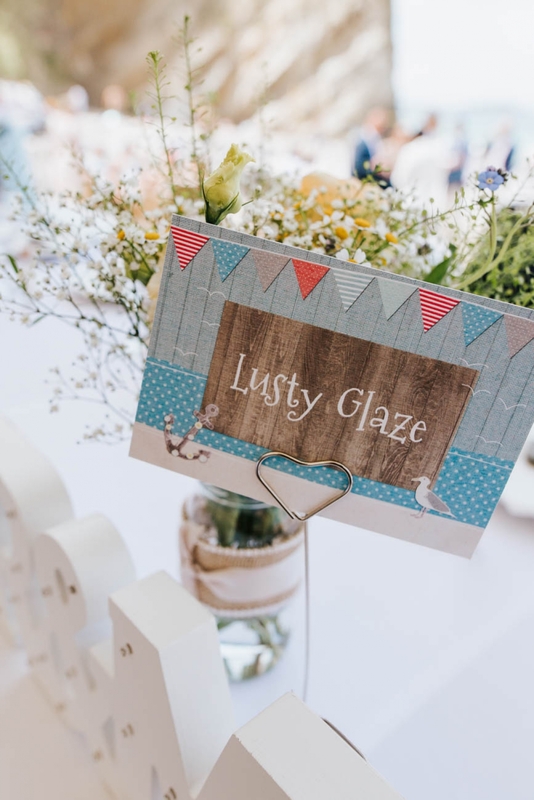 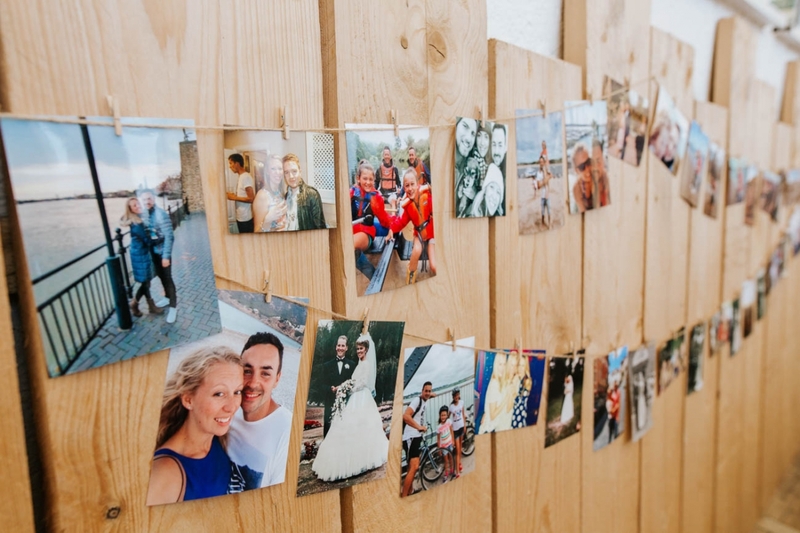 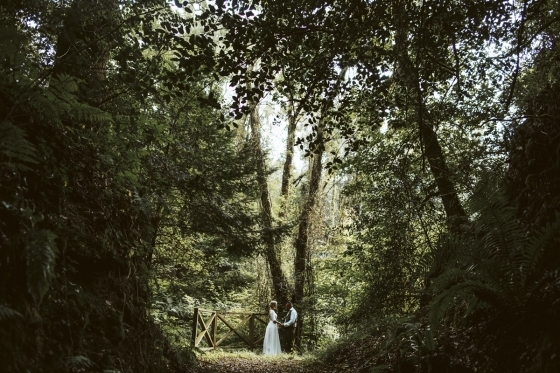 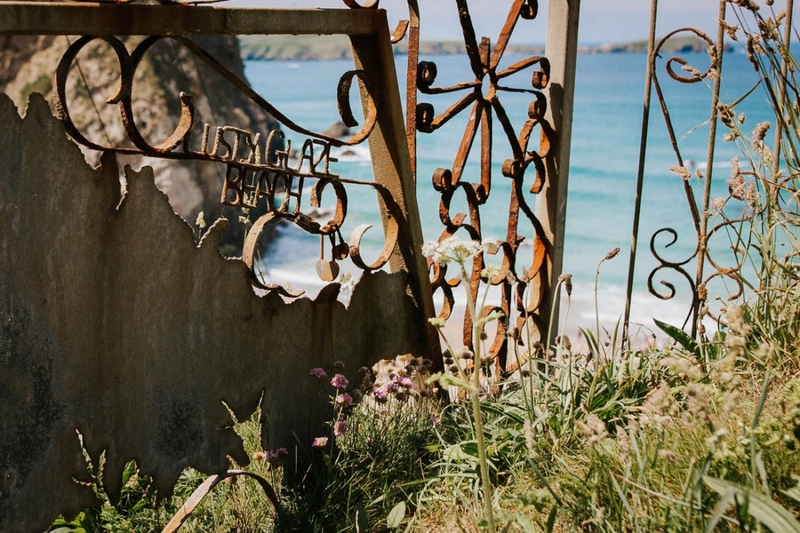 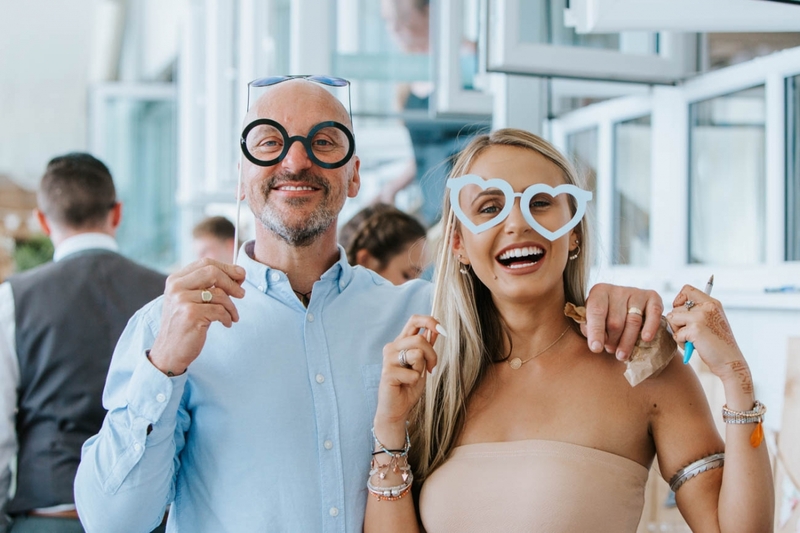 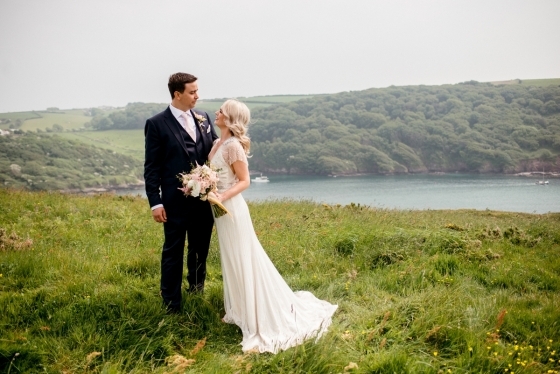 “We also wanted to keep everything quite informal.” This carried through to the food: a delicious and relaxed barbecue-style menu, with Cornish pasties – of course – served in the evening.